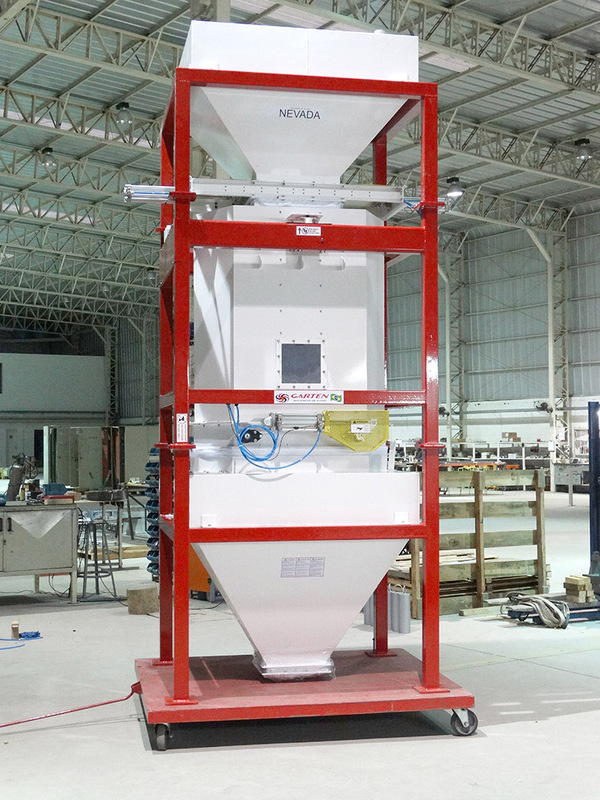 They are balances for weighing grain in flow, with high precision and easy operation. They allow the production control, without interfering with the continuous flow, guaranteeing a precision similar to the static weighing, by the use of batch system.Innovative design minimizes normal wear and reduces maintenance costs. It has reinforced steel structure allowing a life of greater durability. The modularity of the Batch Scales and the high degree of hygiene, avoid the accumulation of internal materials, being especially suitable for food products.All the Garten Scales have Intelligent Information, that is, an internal Native Database capable of connecting to large Databases. The Scales can be connected to the internet, allowing online consultation and / or maintenance routines and direct calibration of the factory. Vc: 50 / 60Hz.Inputs and Outputs: inputs available for remote hold, start and start.Outputs available in alarm, discharge pulses and network connection.Compressed air (clean and dry): 100 lb. pressure (~ 7 Bar).Connectivity: RS 485 network, PROFIBUS DP or DEVICE NET, allows the connection of the balance system to the customer's network.